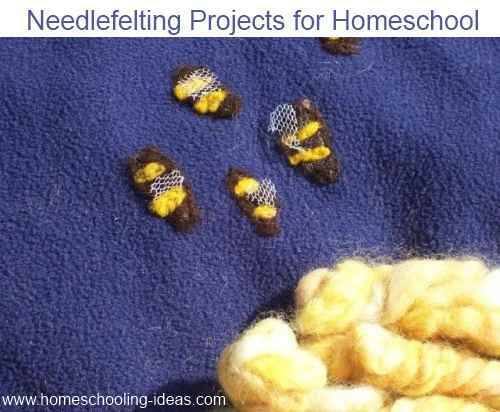 Needlefelting is an ideal way of incorporating homeschool crafts into your current homeschooling project. 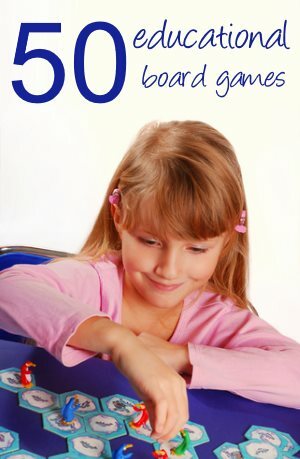 It is a fun craft for kids to try. There are two types of needlefelting - flat and dimensional. We have used both types in our homeschooling. It is an easy craft to do but does use very sharp needles, and therefore does need to be supervised. I have tried this craft with children as young as six with good results. I explain to the child that the needle is very sharp and must be used VERY carefully. Adjust the craft to match your own child's age and ability. It is easy and fun to match needlefelting to your current project. For example, my friend made this quilt to go with their bees project. Different leaf shapes - you could draw around leaves you have collected on a nature walk. 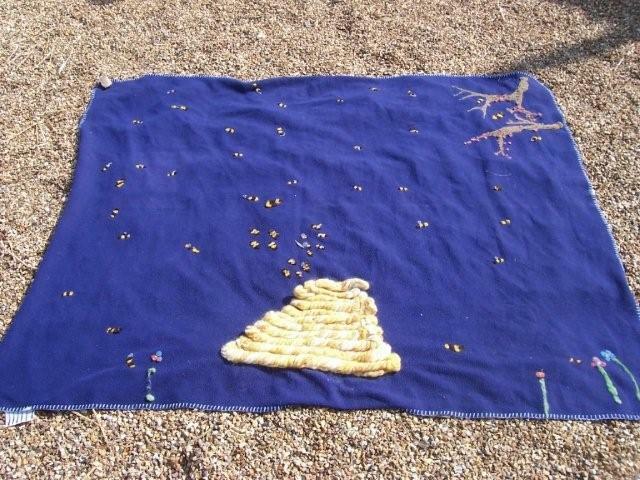 A space quilt with planets and space rockets. How about a quilt or small wallhanging showing the lifecycle of frogs or ladybugs. For geography, make a 'map' showing your area, or the area of your project. Flowers and butterflies - these make nice gifts. A pincushion. Just make a simple oval shape. An animal to fit your current project. Needlefelting needle (available from craft shops). Fleece or felt to work with. Here are two informative videos about needlefelting. 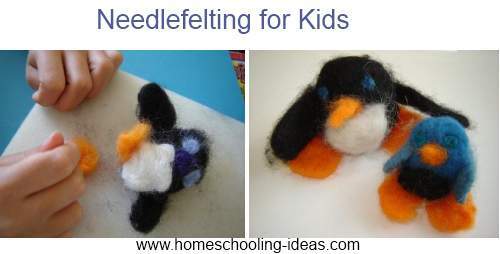 PLEASE NOTE- I always use a single needle when needlefelting with children - not the large several needle version. Also - I demonstrate to them a SLOW CAREFUL punching motion - not the vigorous one seen in the videos. Adjust the craft to match your own child's age and ability. Needlefelting onto a flat surface. (This one isn't really suitable for watching WITH your children - if I can find a better one I will swop it). Want to see some examples? 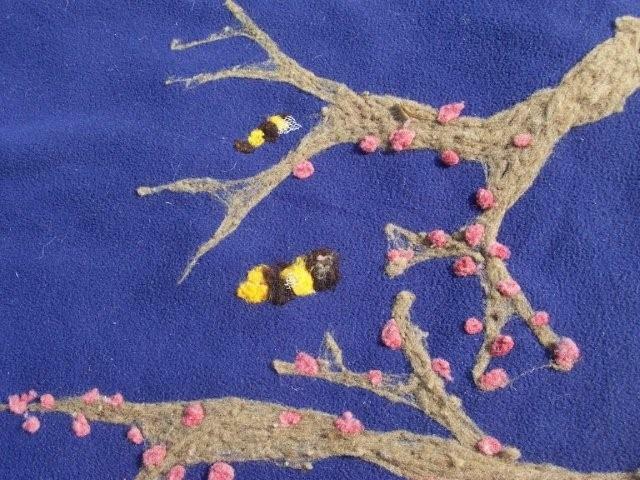 See our Needlefelting Photo Journal. Needlefelting would be easily adaptable to teen projects. 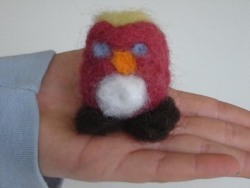 For example, we have used needlefelted toys in our secret toy drops for a random acts of kindness project. Teenagers could get really creative with this. As well as using it on clothing, they could make pieces of art such as Artist Trading Cards. There are some fabulous books available on Amazon that might appeal to your teenager and get them started on this creative craft. Get creative and try some new ideas. 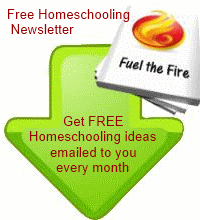 Every month I produce a newsletter to inspire and encourage you in your homeschooling. 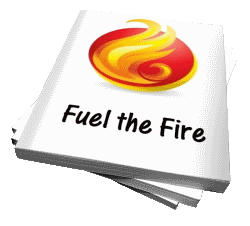 Sign up below now to get inspired!